2 Bedroom Semi Detached Bungalow For Sale in Kilmarnock for Offers Over £140,000. 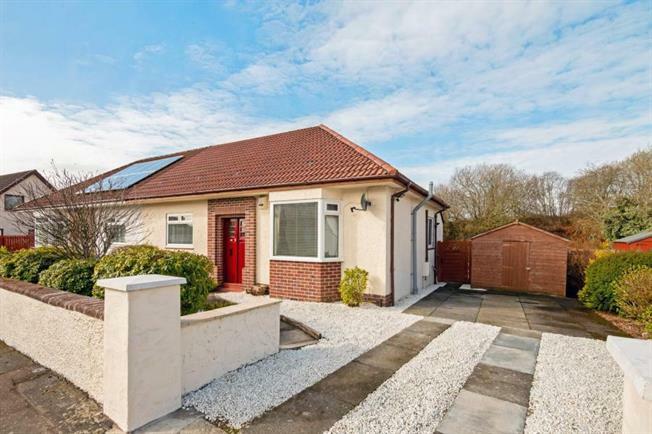 Charming semi detached bungalow within highly desirable location. The property on offer has been upgraded and is tastefully decorated to a high standard throughout. The accommodation on offer extends to a welcoming reception hallway, impressive lounge on open plan style to a modern fitted kitchen with centre island and integrated appliances. There are French doors from lounge leading onto decking area. Two double bedrooms and stylish shower room. Further benefits include gas central heating, double glazing and generous well maintained gardens. The rear garden is a good size and is well stocked with a selection of mature plants trees and shrubs. By way of parking there is a driveway. Ideal location for excellent local amenities and transport links with a good choice of nearby schooling.